Unemployed me should have probably been doing something a little more productive with their time than sitting around, eating snacks, and constantly watching Netflix. There were days when I struggled to motivate myself enough to get out of bed, which I’m sure most of you will know is super difficult. And that’s exactly why employed-and-productive me is going to write a blog post about all the banging new programmes I discovered along the way..
Oh my word, I could not turn this off. I actually watched this at the beginning of May, and I still think about it and recommend it to almost anyone that hasn’t already seen it. I literally sat and watched all eight episodes back to back, because I had to find out what had happened. I’m going to give you a heads up and say that it’s pretty graphic in places and makes heavy references to substance abuse and sexual abuse, so it’s not for the faint-hearted, but I would definitely recommend this to anyone that loves psychological thrillers, which is how it’s probably best described. The series follows a killer and her reasons for committing the crime that she did – it’s difficult to describe without giving too much away! I thought I had figured out what had gone on so many times throughout the episodes, but I was wrong time and time again, and I was shocked up until it finished. I never jumped on the bandwagon when everyone recommended this last year, but I entirely wish I had..
Brogan Tate recommended this on Twitter and I was instantly intrigued. She said it was for anyone that loved Making A Murderer, and while I found that to be a little boring and drawn out, I thought I’d give this a shot because I’d caught up with Ru Paul and Riverdale, and I noticed there were only four episodes, which even my short attention span could handle. And boy, I’m so glad I did! Another one that I binge watched without turning it off, I found this to be so, so much more enthralling that Making A Murderer. The true-crime series follows – and stick with me here – a pizza boy who dies after he has a bomb strapped to his neck in an attempt to rob a bank, and the ‘genius’ individual behind the entire plot, alongside all the other ‘things’ that she seems to be involved with – it’s pretty crazy to say the least. I tried to explain the first episode to my mum, and I just spewed out a load of words, sounding entirely crazy and struggling to do it any justice, just like I feel I’m doing now! The case itself is so interesting, and the series is really cleverly put together as well. At four episodes, it’s a pretty quick and easy to watch and I would definitely recommend it..
I’ve seen this advertised recently on actual telly. I’ve seen countless people raving about it on Twitter. I’ve found that everyone and their aunt seems to be banging on about how incredible it is, so naturally, I couldn’t resist binge watching all eight episodes to see what the hype was about..
Another crime drama – no shock there – that follows a girl disappearing from a gated community after a party, the murder of her boyfriend that night, as well as the secrets that their parents are hiding. The actors in this were all incredible, especially the younger members of the cast and the plot kept me constantly second guessing myself. I would easily place this series in my top ten series’ of all time, ever, which shows just how much I loved it.. Unlike the first series I recommended, I found this to be a lot less graphic and I really enjoyed the fact that although she disappeared, no one assumed her death like they do in most other crime dramas straight away. A series you could comfortably watch with your family, and all be entirely engrossed by the end, so much so that I’ve recommended it to my mum over and over again and would happily rewatch it with her because it was just so good. I don’t quite know how they’d do it, but I really hope there’s a second series soon or more in a similar style added to Netflix.. I feel like once you watch the trailer for this series, you’re going to judge me so hard for putting this on my list. I’m a sucker for a teen drama though, especially one that’s a little bit cliche, which makes it all the more shameful! This is one of those series’ that you put on for background noise because it looks like an easy watch, end up enthralled, and then watch five episodes, back to back, without realising..
On The Block follows a group of teenage kids as they start High School. You’ve got gangs, and relationships, and drugs, and violence, and family problems – everything a juicy teenage drama needs to make you want to carry on watching, and I simply couldn’t turn it off in the end. I had more than a few giggles at this – especially at one scene involving Ruby and Jasmine – I related to so many of the characters, and I felt kind of nostalgic watching it, remembering my own school experience, although I didn’t have any run-ins with guns at my school thankfully. I would recommend this to anyone that loves a bit of cheese with a lot of drama as well..
I’m just as obsessed with Riverdale and Ru Paul, and I still watch Shrek on a weekly basis, but I’ve made some incredible discoveries recently and they had to be shared. 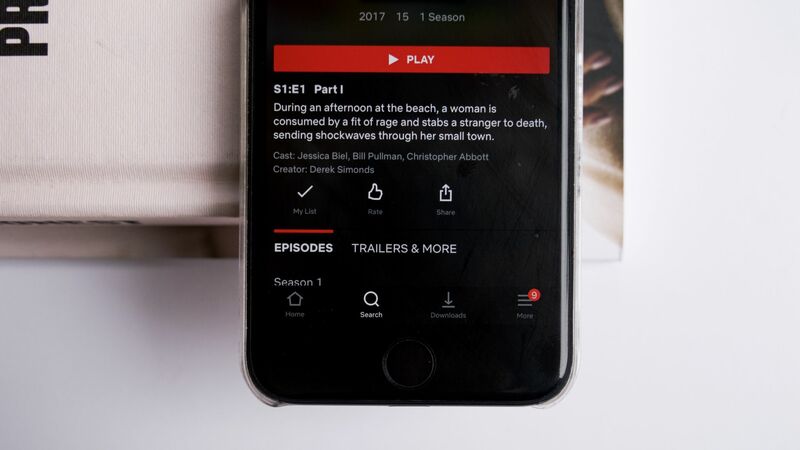 I’ve currently got Thirteen Reasons Why S2 to watch, and I love the look of You Me Her and Manhunt, although I’m always looking for recommendations for my Watch List..
Have you watched any of these series’? What’ve you been loving on Netflix? "Dating App Do’s & Absolutely Do Not’s…"